PHOENIX – Gov. 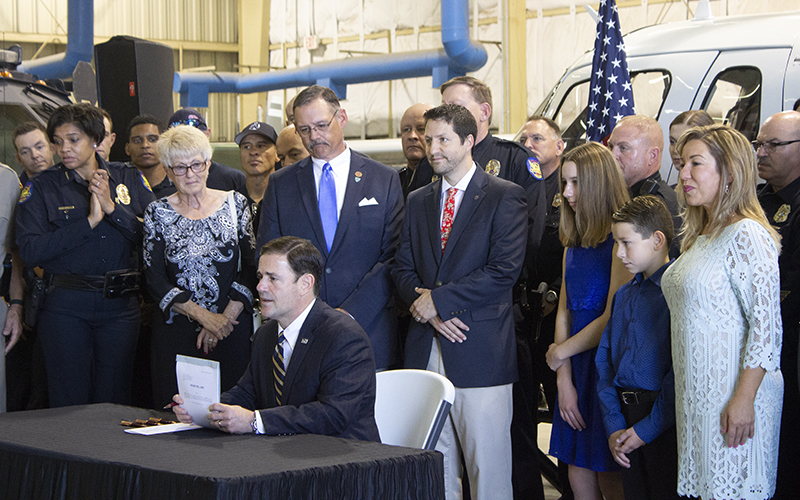 Doug Ducey on Wednesday signed the “Officer Craig Tiger Act,” which provides more counseling services to public-safety officials who suffer post-traumatic stress disorder because of their experiences on the job. The law is named after a Phoenix police officer who was forced to shoot an assailant in 2012 and later took his own life as a result of undiagnosed PTSD. But the program is available to officers or firefighters who experience stressful situations from child abuse to witnessing the death of a colleague or near-drownings. Ducey in 2016 signed legislation creating the Traumatic Event Counseling Program for first responders, which provided up to 12 counseling visits per traumatic event, but the new law covers up to 36 visits with a licensed treatment professional. Also, first responders will not lose pay or benefits if they are deemed unfit for duty, and their employers cannot require them to use paid time-off to attend counseling. According to the World Health Organization, one person commits suicide every 40 seconds. Public-safety employees are highly susceptible to PTSD, which can greatly affect behavior and produce suicidal thoughts. Officer Tiger used deadly force against an assailant who was assaulting him and his partner in 2012; he later said his problems began that night. He returned to work but was drinking heavily; that same year, he was arrested for driving under the influence in Coconino County. Tiger was fired by the Phoenix Police Department in 2013 and killed himself in November 2014. Joe Clure, executive director of the Arizona Police Association, recognized Channel 5 (KPHO) reporter Donna Rossi as instrumental in the coverage of PTSD among first responders. Tiger shared his story with Rossi after he was fired for the DUI and a few months before his death. 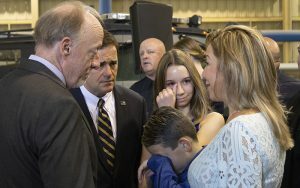 “He was very adamant that police departments and fire departments don’t address the issues that are necessary when it comes to officers or firefighters who suffer from PTSD,” Rossi said. The most recent data available within the state reveals 1,310 Arizonans died by suicide in 2016, per the Suicide Prevention Resource Center. “With this bill, it is our hope that first responders will not have to suffer alone and will have resources dedicated to their recovery from post-traumatic stress,” Clure said.